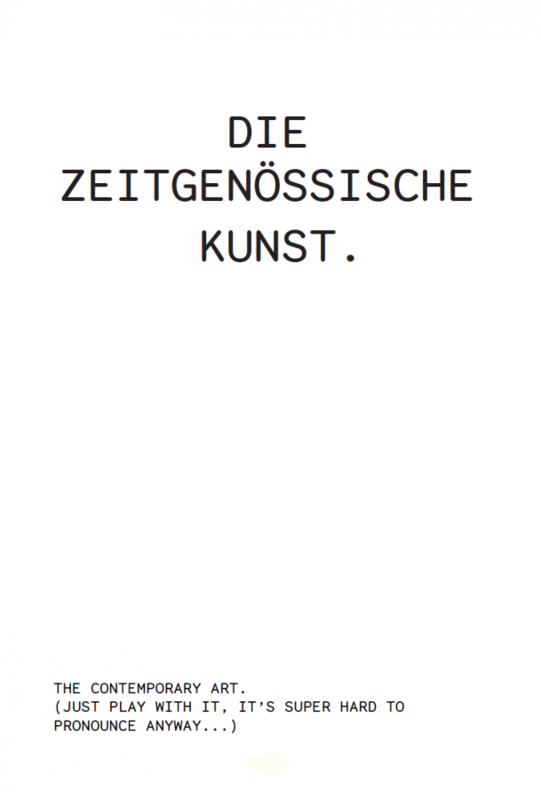 German for Artists (2015) is a hybrid pocket grammar book for artists who want to learn German and understand who’s who in the art world at the same time. 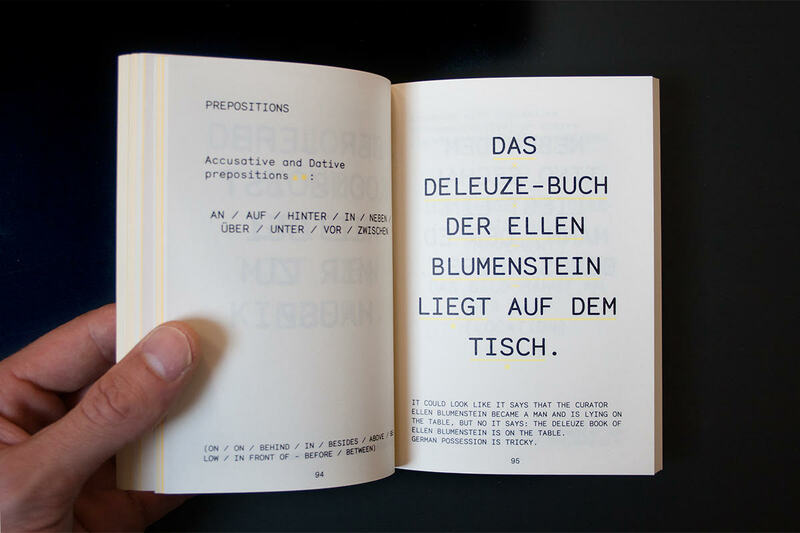 Based on years of experience in teaching German to artists, Stine Marie Jacobsen gathered her efficient teaching methods as well as humorous reflections on the characteristics of the German language in this book. 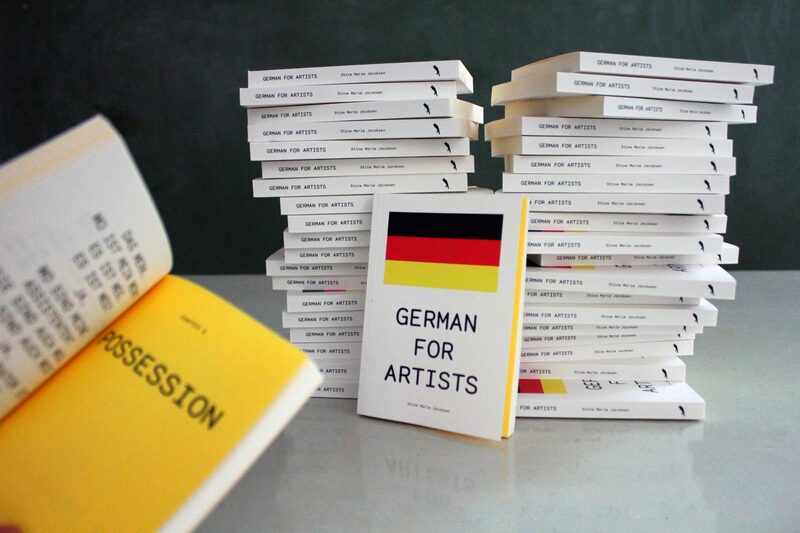 German for Artists makes learning German a fun, human and relevant experience not only for artists, but anyone who prefers humor as a way of learning and memorizing grammatical rules. 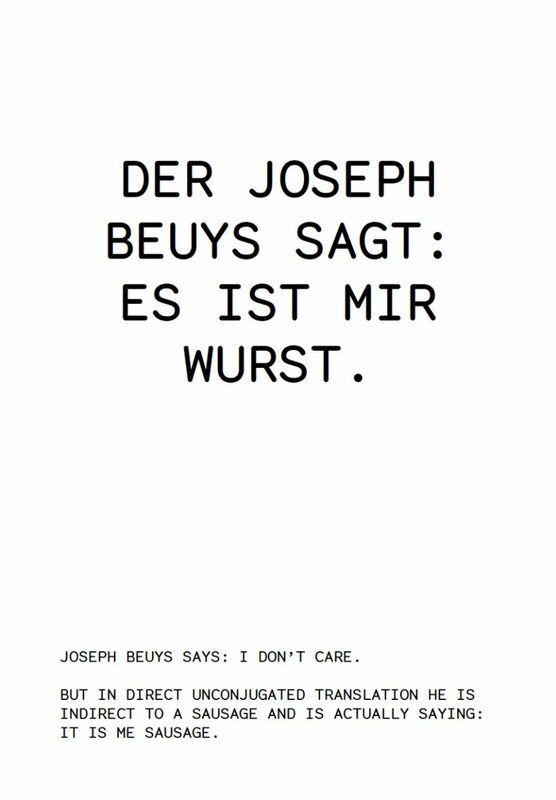 As everyone who has learned and speaks the German language knows, German has a rather rigid grammatical structure that one has to accept and submit to in order to learn, speak, write and perform the language. 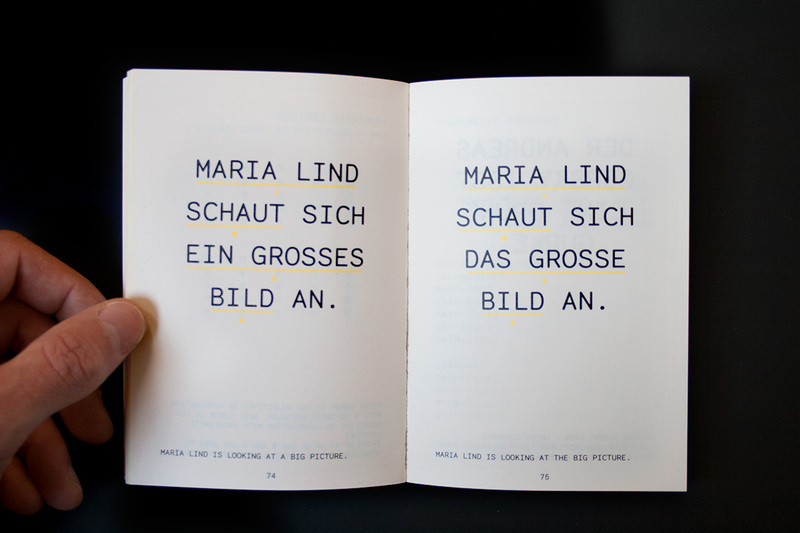 However, in this art project it is paramount to the artist to highlight the power relation inherent in the language learning situation – does one have to bow to the German language? The awareness of reciprocity between agency and authority is key to learning. Cultural coding and norms are hidden in syntax, students learn not only grammar but a form of attitude. Hierarchy and power relations are imminent in any linguistic syntax, because language mirrors society. Learning a language can thus also be adapting to behavior. 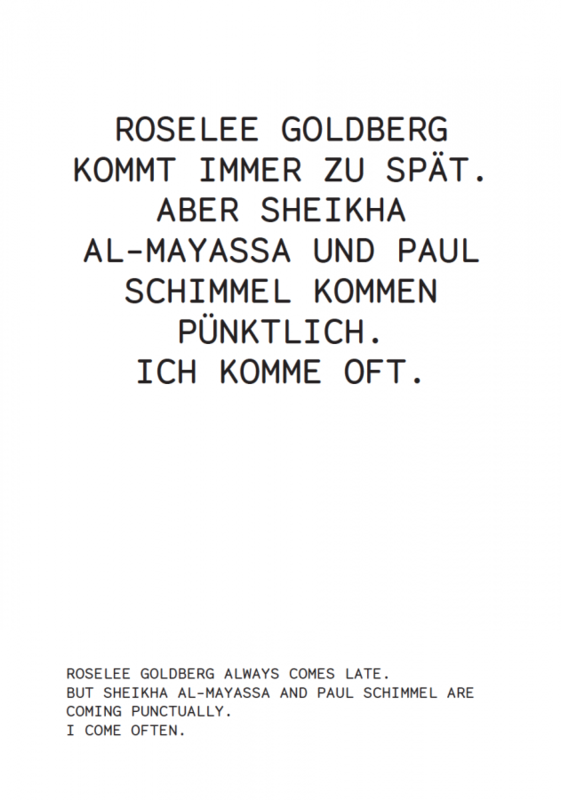 The grammatical sentences used as teaching examples in the book turn power relations in the art world upside down – as in the quotes on the right – while the student must submit to the grammar rules that are taught. Here, playing with submission and empowerment is the formula with which the artist motivates her students. 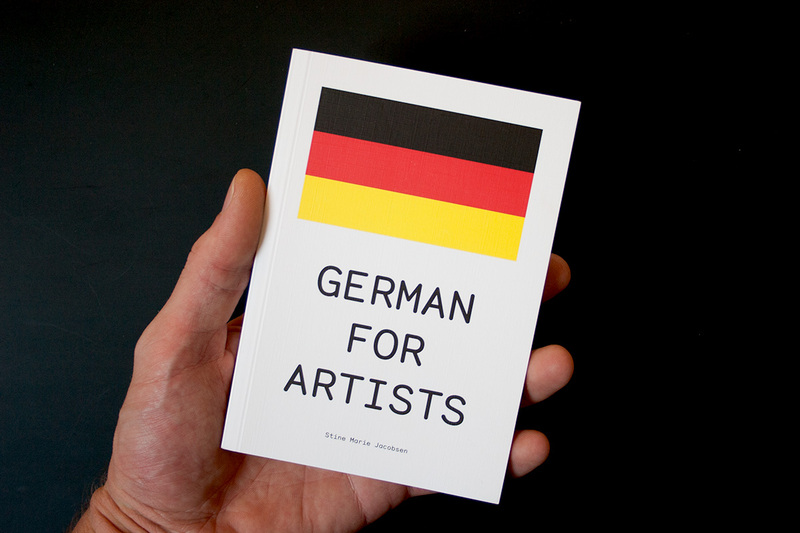 The book, which is now a bestseller, is easily portable and offers grammatical first aid and ready-to-use phrases that will help in understanding the German language and the local German art world. 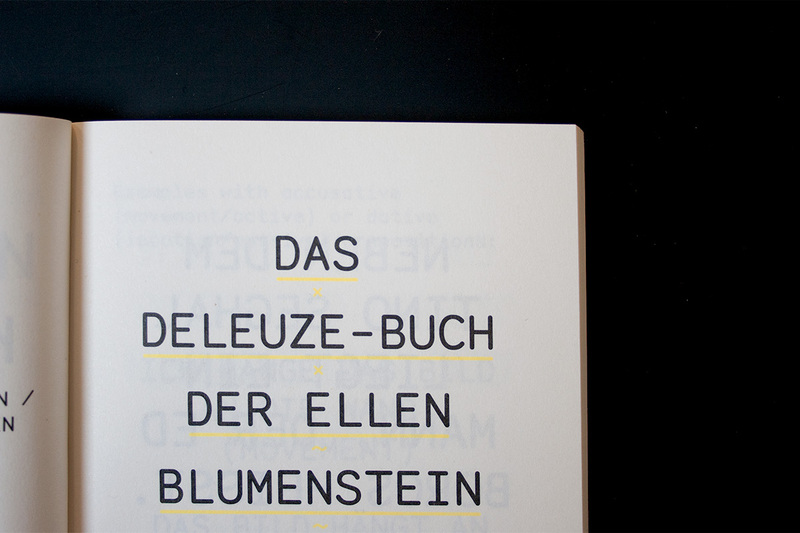 A must for all “nicht-so-gut-deutsch” -speaking cultural workers in Germany. 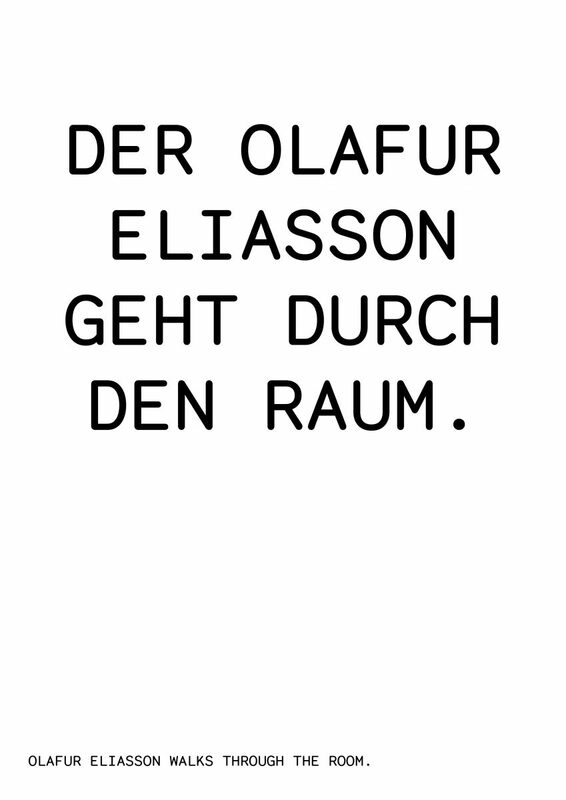 German for Artists also has an exhibition aspect, as the sentence samples have been and can be printed as posters for art exhibitions.